You can currently view data in three ways. Map – move the mouse over a part of the map for more detailed information. Use the data filters to adjust the indicator viewed and other parameters. 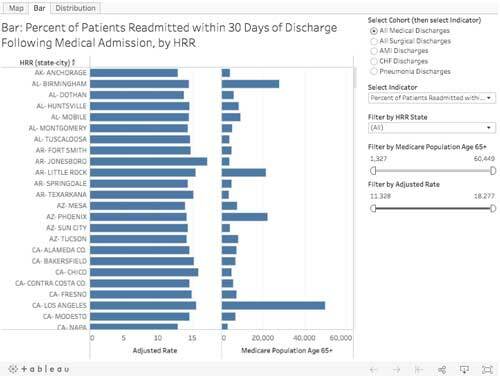 Bar chart – adjust the data filters to change the indicator viewed. Distribution Chart – adjust the data filters to change the indicator viewed. To view a chart in full-screen, select the “Full Screen” button in the lower-right. Hit Escape key to get out of Full-Screen mode. 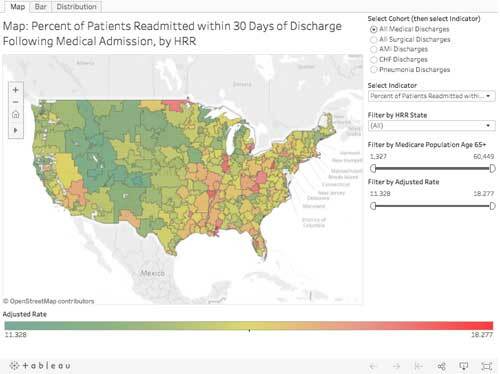 You can download a chart in .png or .pdf format using the Tableau “Download” button. 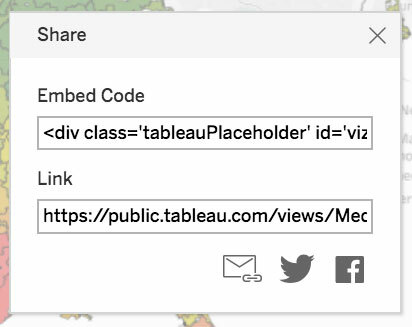 You can share our chart using the Tableau “Share” button. 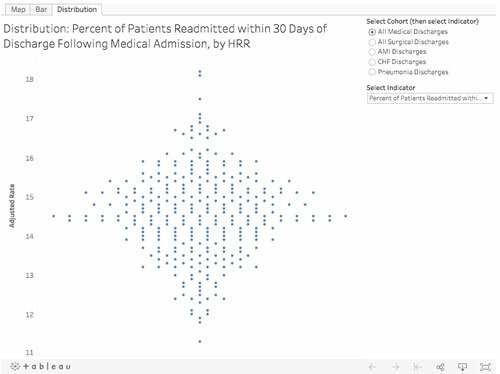 This includes emailing link, twitter, facebook post, and code for embedding our chart into your website (please link back to https://www.dartmouthatlas.org and give attribution to “Dartmouth Atlas of Healthcare”). 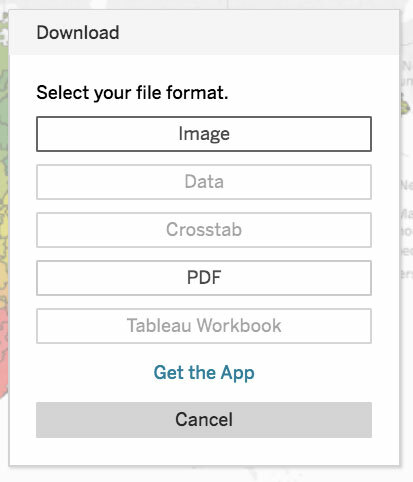 After adjusting the data filter settings, etc., and you want to reset the view to the initial default state, use the Tableau “Reset” button.